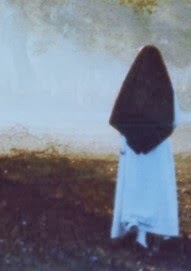 Today is the feast of St. Mary Magdalen. It is very special to Dominicans because she is the Patroness of the Order. Many people wonder why. The reason is that on the day that Jesus rose from the dead, He appeared to St. Mary Magdalen who was unconsolable over the loss of her beloved Master. The sound of His voice calling her by name activated her deep faith. She knew at that moment that He was her Lord and God and she wanted to remain with Him. However Jesus had a mission for her. 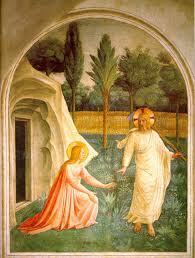 He sent her to His fearful disciples to bring to them the Good News that He had risen. This made her the “apostle to the Apostles”. Dominicans are meant to be preachers of this Good News. They are sent to all people in all nations. And so we see St. Mary Magdalen as the first of the preachers of the Resurrection, and ask her to intercede for us as we bring this most important message to the world. And on this special day, the General Chapter of the Dominican Order is opening in Trogir, Croatia. It will last from July 22 until August 8, feast of St. Dominic. We will be offering special prayers daily for the men and women participating from all over the world in this important meeting where vital issues for all of us will be discussed. Please join us in prayer.